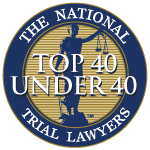 Slip-and-fall injuries can give rise to negligence lawsuits, though every aspect must be met. Landowners owe a duty of care to visitors, and businesses that invite members of the public on site for commercial gain owe the highest duty of care. That duty may be breached when a property is not maintained in a reasonably safe condition. Recently, the Wyoming Supreme Court weighed a slip-and-fall lawsuit that trial court had dismissed for failure to raise genuine issues of material fact. The state supreme court reversed, sending the case back on track to trial and giving the plaintiff another shot to prove her case. Although slip-and-fall case law and statutes may vary from state-to-state, it’s worth exploring how the issue is approached in other jurisdictions. In this matter, according to court records, plaintiff and her brother went to a trailer store for a repair. After walking into the building from a side door leading to the repair shop, they made their way to the front office. They arranged for repair and walked out the same way they had come. They returned later that afternoon through the same side door. They paid for the repairs and made to leave the store, this time walking out of the main front entrance. 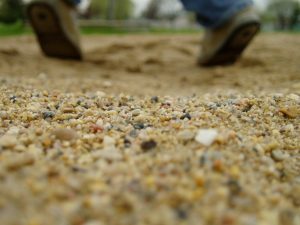 In making their way to the trailer, plaintiff stepped off the asphalt and onto a patch of gravel on a slope. She slipped and fell, suffering a fractured ankle. More than two years later (well within the statute of limitations) plaintiff filed a slip-and-fall lawsuit against the auto repair shop for breach of ordinary care to maintain its site in a reasonably safe condition for the public. Specifically, she alleged the store allowed this unnatural build-up of gravel to develop just outside the front entrance, resulting in a slippery condition that caused her fall. She sought damages, including past and future medical expenses and loss of earning capacity. Her husband also filed a claim for loss of consortium. 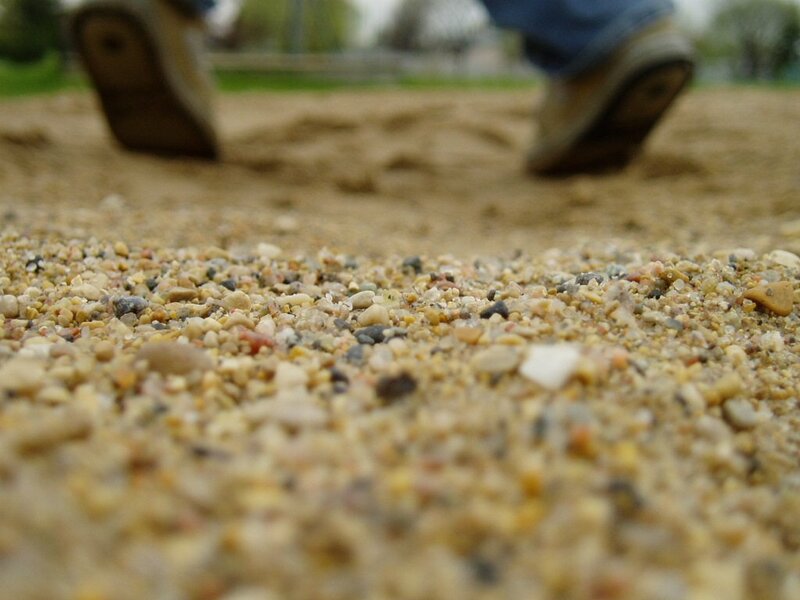 The store denied it was negligent, and sought summary judgment, arguing there was no evidence that explained why plaintiff fell or that the rocks or gravel near the entrance were an unnatural accumulation. Defendant store further argued absent any evidence to show how the fall happened, plaintiff was unable to establish a duty was owed or that was breached. Plaintiff responded by arguing the patch of gravel was artificial and that defendant owed a duty to its customers to use ordinary care to maintain the site in a reasonably safe condition to protect them from harm that is foreseeable. She contended there was no barrier to keep customers away from the gravel slope, nor was there any designated sidewalk or walkway and no signs instructing customers not to walk on the gravel. The day after the incident, the manager had piled tires up to block customers’ entry onto the gravel slope – a recommendation that was written on the store’s incident report. District court granted defense motion for summary judgment, finding no genuine issues of material fact existed as to whether the auto shop breached its duty of care to maintain the property. It further rejected plaintiff’s expert witness’ conclusions (from a certified building inspector who found the business violated building codes by not maintaining exterior spaces and means of egress), saying they were unsupported by fact. State supreme court reversed on appeal. The court noted generally the question of whether a duty exists is a question of law (to be decided by a judge) rather than a question of fact (to be decided by a jury). The court held that store owners do owe customers a duty of reasonable care, and the key conclusions of the expert witness – while they may not all necessarily hold up in trial – were sufficient enough to raise genuine issues of material fact. If you have been injured in a store slip-and-fall in Fort Myers, we can help.